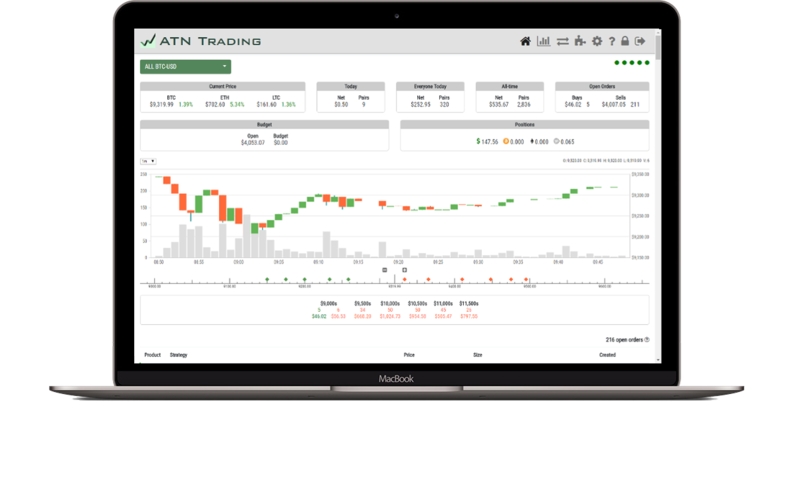 ATN Trading Co provides a trading engine that, very simply, takes advantage of the volatility in the cryptocurrency markets. Buy low, sell high, repeat! 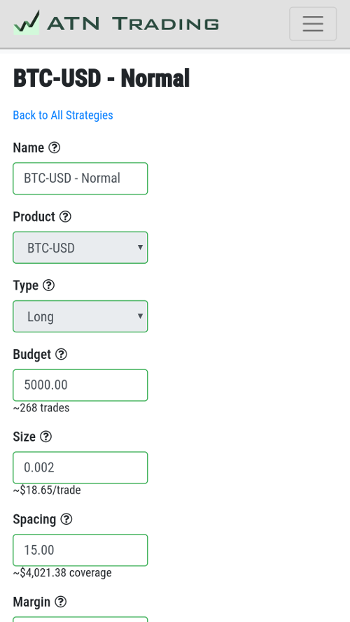 Connect the ATN trading engine to your Coinbase Pro or Binance account and the engine will place your orders for you. All trades are filled by the exchange. We never handle your cash or coin. You are in full control. Determine how aggressively you want to trade, set trade size, margin, spacing, floor, ceiling etc. Go long or sell short depending on market direction. An easy to use dashboard and detailed reports provide the data you need to create the best strategy for your budget. Engage our dynamic community on Slack and compare your settings on the leaderboard. ATN users are seeing gains of up to 35% a month. Depending on the markets and your strategies, your results may be even better. HODLing is one way to make money with your cryptocurrency investment. Trading a portion of your portfolio is a good way to put your coins to work for you. 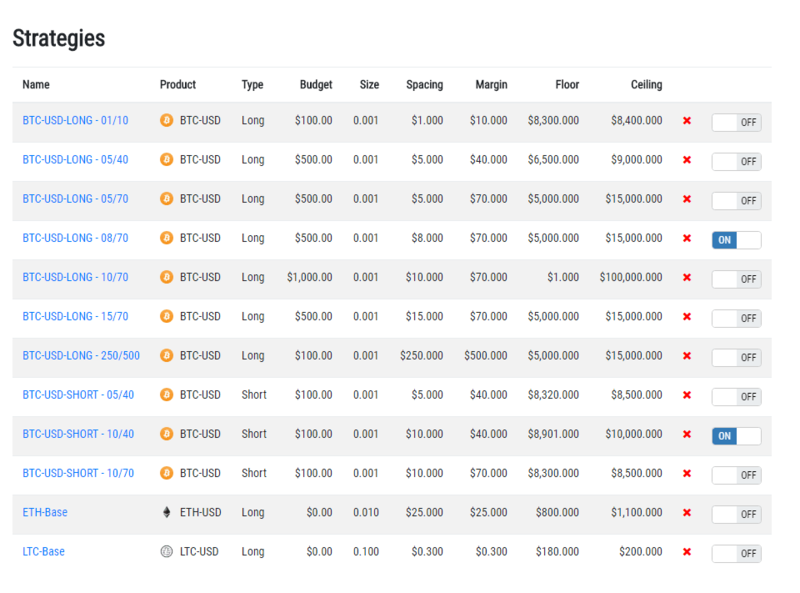 Example: In a 7 day period the market price of bitcoin fluctuates $500 above and below your starting price (totally normal behavior). You start trading 1 btc at $10,000. If the market goes up to $10,500, you're ahead. 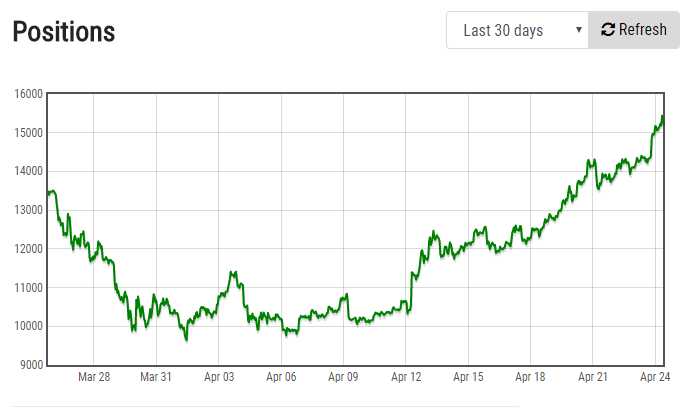 When it drops back down to $9,500 you're down $500. But if you're trading on the volatility the entire time you'll be ahead. In this scenario a very normal strategy would be to trade .01 btc with a margin of $100. Conservatively you could expect to make 10 successful trades in a day (what we call pairs) which would net you $1 every pair. 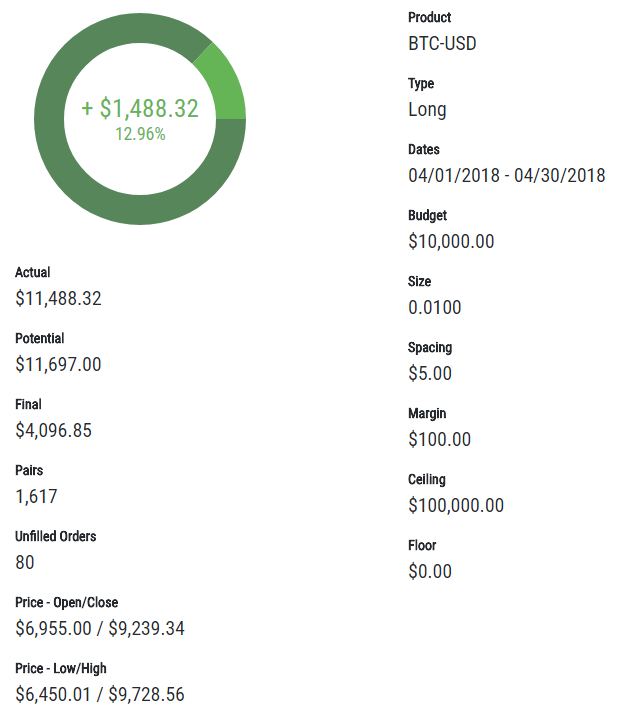 In 7 days, when the market rises to $10,500, drops to $9,500 and returns to $10,000 you would be up $70 (7%) over simply holding. By holding crypto, your value increases only as the price continues to rise. Automated trading allows you to take advantage of the market volatility to gain value even as the price drops. Results will vary based on market conditions, budget, and strategy. The results above are meant to serve as an example—yours could be better or worse. The ATN trade engine monitors the markets 24/7 and executes trades based on your settings. Our tools put the control in your hands. 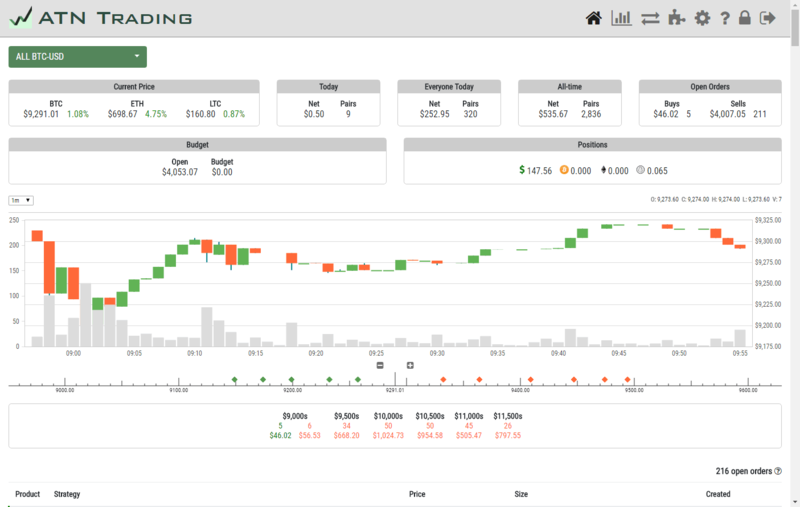 The ATN Wizard will have you trading in minutes. The system watches your orders on the exchange and looks for opportunities to place new orders thousands of times a day. Multiple strategies allow you to trade with different settings depending on market conditions. Truly set it and forget it. Pay just a percentage of your earnings. If you you're not making money, you pay nothing. Trade with no risk—pay a percentage of your earnings or get faster trades, more strategies and quicker support with our Premium Service. Market conditions and your settings will determine how much you make. Users have recorded 6% gains in a day during extremely favorable conditions. Use the simulation tools to forecast earnings based on market history. ATN adheres to the highest security protocols. All trades are executed by the exchange. Pay according to how much you earn. If you don't trade and aren't making gains, you pay nothing. It has worked for so many. Read our testimonials. Try it for 7 days free! Share trading tips and crypto insights on our active Slack channel. © 2018 ATN Trading Company All Rights Reserved.